Yoder's Backyard Structures is a family owned and operated business located just west of Pittsburgh, PA in the rolling hills of Burgettstown, PA. 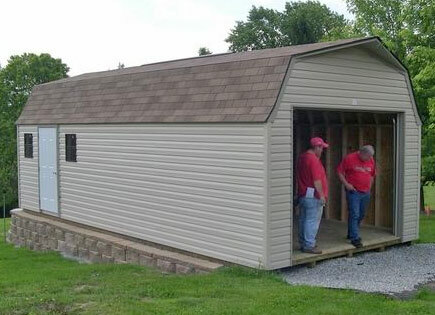 Specializing in custom-built sheds, gazebos, garages and more, owners Ken Yoder and his father Noah actively work with customers to help them find the best structure their needs. Every structure at Yoder's Backyard Structures is made with pride and hand-built by Amish and Mennonite craftsmen in the nearby Amish community in Pennsylvania and Ohio. Our buildings are made to last for generations. But Yoder's Backyard Structures is about more than quality and craftsmanship. We're committed to providing the best service possible and take the time to get to know your needs, answer your questions and help you find the best structure to fit those needs. Our goal is to make your purchase an enjoyable one. We handle all the details and assist you in making smart decisions to ensure you'll always be happy with the building or structure you choose. Plus we offer timely delivery and setup and handle any follow up questions promptly. See the difference we can make for you. Stop in and see our selection today! We'd love to get to know you and your family!